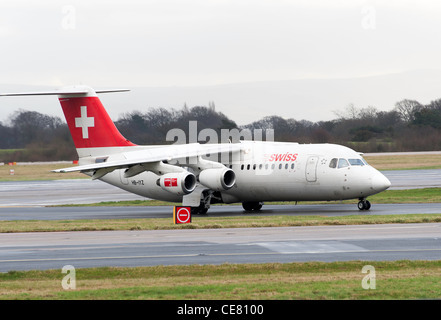 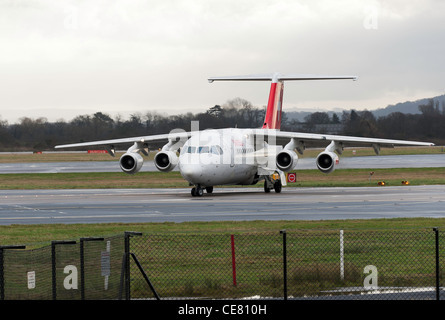 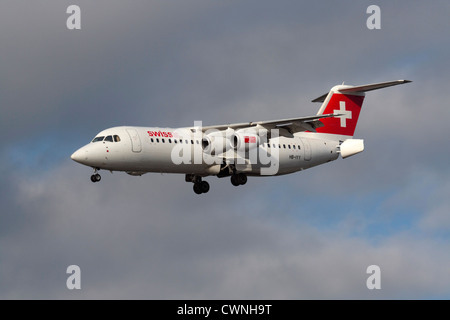 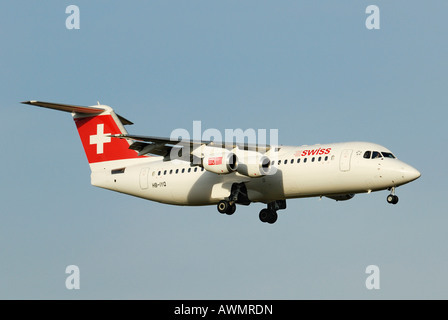 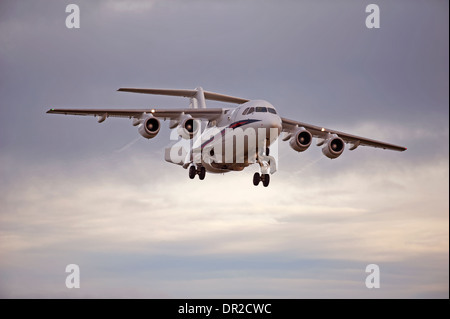 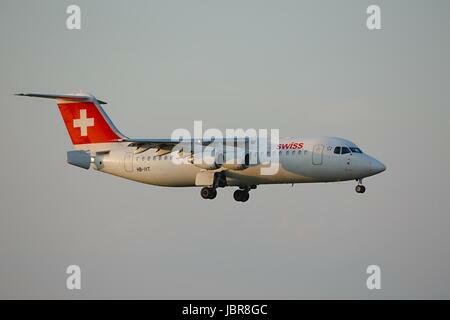 Swiss European Air Lines Avro RJ100 regional jet or small airliner flying on approach with tail airbrakes open. 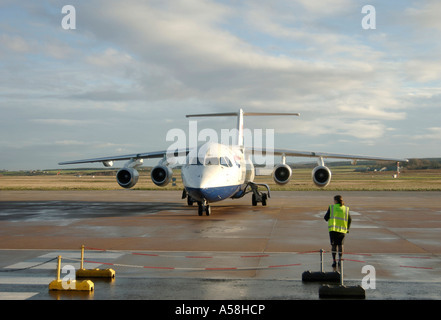 Short haul air travel. 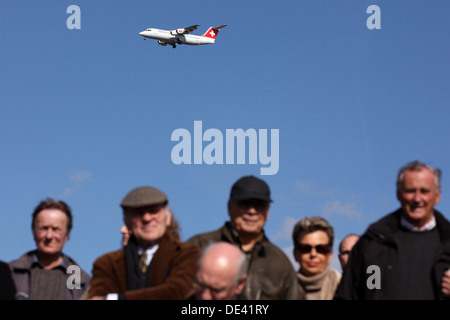 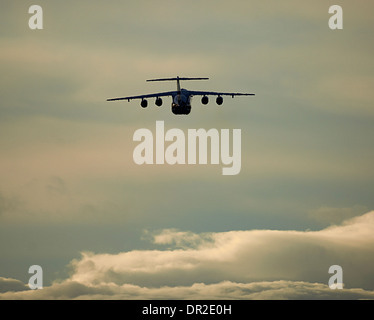 BUDAPEST, HUNGARY - APRIL 7: Swiss airliner approaching Budapest Liszt Ferenc Airport, April 7th 2014. 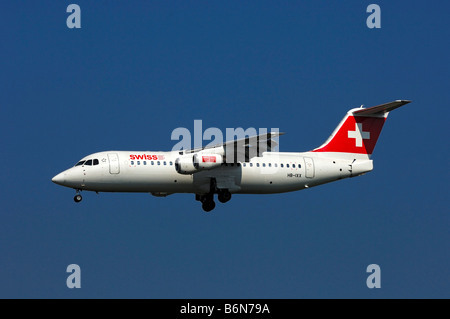 Swiss International Air Lines is Switzerland's flag carrier airline. 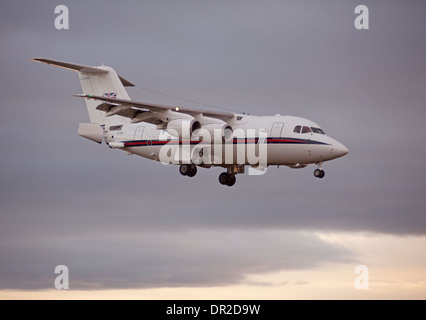 BAe 146-100 four engined jet approaching RAF Lossiemouth. 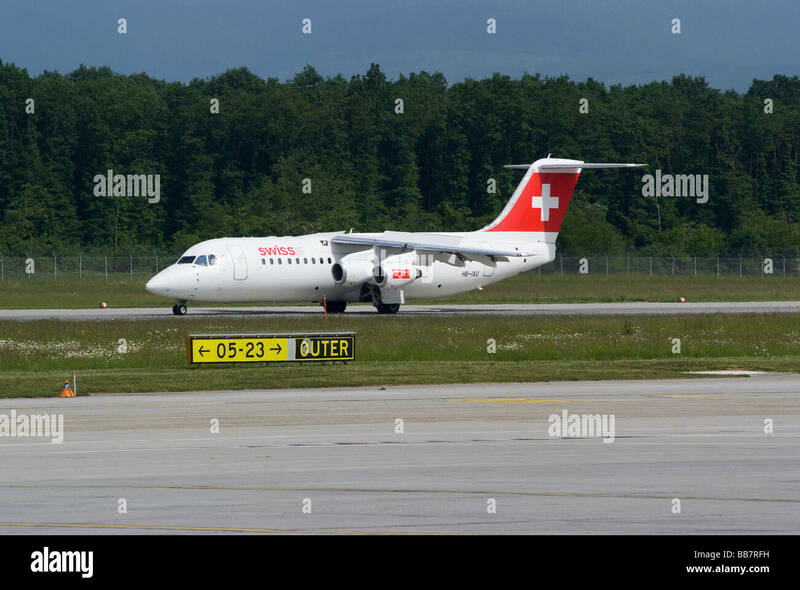 SCO 9241.